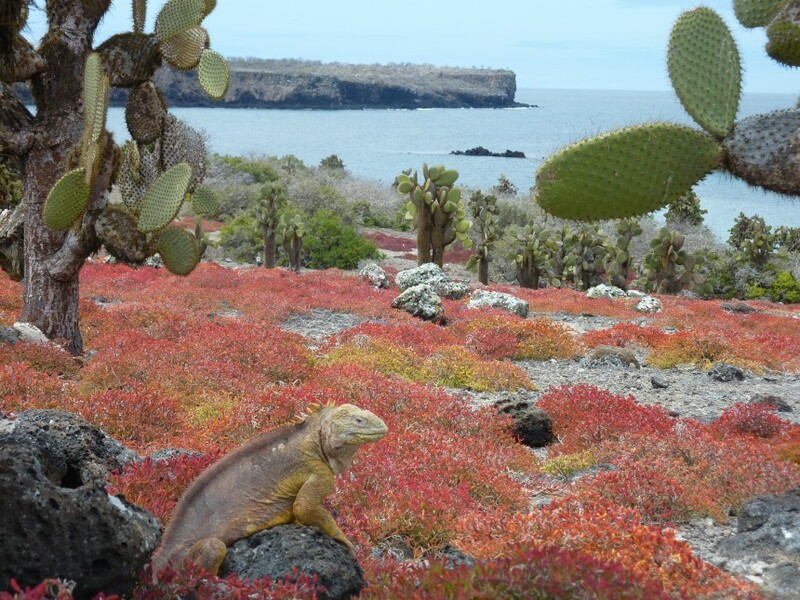 Ecosystems in Galapagos are strongly influenced by the climate. There is some research to suggest that global climate change could potentially lead to more frequent and even more intense El Niño events which could have serious implications for the Galapagos Islands. Changes in sea temperature and rainfall would affect the biodiversity across the Islands. Higher average air temperatures: The Intergovernmental Panel on Climate Change (IPCC) estimate that global average temperatures could increase between 2 and 4°c by 2100. As the Galapagos Islands are located near the equator, it is likely that temperatures would rise by the global average. Higher sea surface temperature: As the ocean absorbs excess heat from the atmosphere, the temperatures of the upper layers of the ocean are likely to increase. This would mean that the water surrounding the Galapagos Island would also get warmer, affecting marine species significantly. Increased rainfall: Warming temperatures would likely lead to increased rainfall. Sea level rise: Current estimates suggest that sea levels around the Islands have the potential to rise by around 1 metre by 2100. 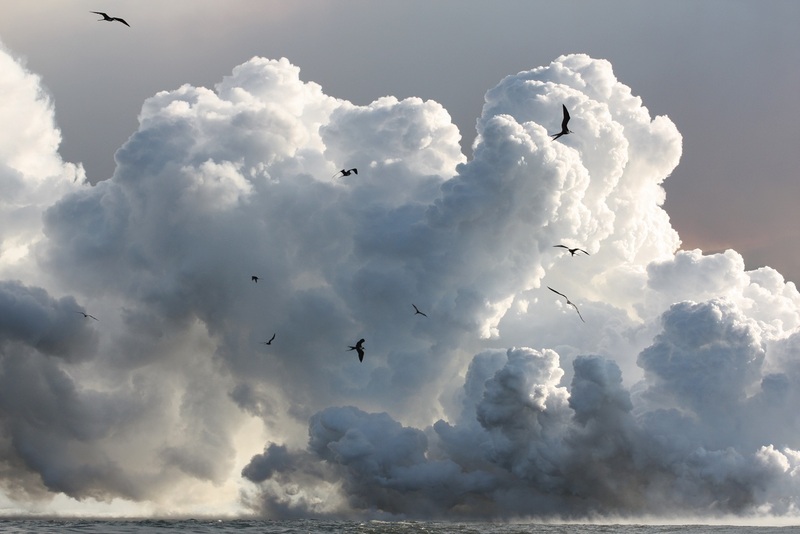 However, the overall effect of global sea level rise on the Galapagos Islands is difficult to predict because volcanic activity on some islands could cause the land to rise (or subside). Ocean acidification: The IPCC estimates that by 2100, the oceans average pH will drop between 0.14 and 0.35 units meaning it will become more acidic. This is likely to cause a loss of biodiversity for the Galapagos Islands. If there was increased ocean surface temperature this could result in reduced upwelling of cold water which is essential to wildlife around the islands. Increased rainfall and temperatures could make conditions difficult for existing species or lead to the introduction of other invasive species which could disrupt the ecosystem. There is also the possibility of sea level rise which could affect the island, reducing the areas of beaches which are used for nesting for species including penguins and turtles. 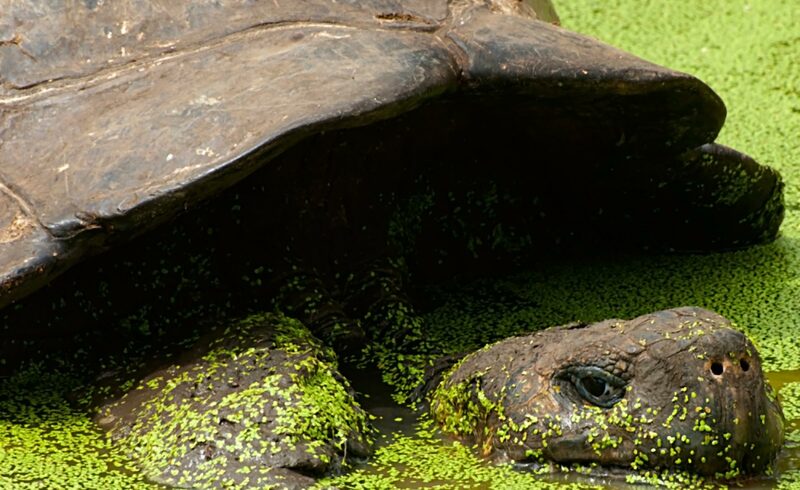 Galapagos giant tortoise: Higher temperatures could trigger migrations which could reduce nesting success. Increase in temperatures could lead to a greater variety of insects which may lead to reduced hatching success. Green turtle: Higher temperatures could disrupt egg development of the green turtles and sea level rise could reduce the size of beaches and therefore nesting areas. Marine iguana: Much like turtles, increased temperatures could interfere with egg development and coastal erosion would reduce nesting area availability. Changes in air temperature could also interfere with iguanas ability to regulate body temperature as they are cold-blooded. Blue footed booby: During El Niño events when temperatures are warmer, blue footed boobies have abandoned breeding colonies and increased migrations. Therefore increases in temperature due to climate change have the potential to have similar effects. Sea level rise could also cause nest losses. Reduced upwelling would also reduce their food supply. Land iguanas: Changes in air temperature could interfere with iguana’s ability to regulate temperature much like the marine iguana. Changes in rainfall could reduce nesting success.